As far back as I can remember, writing has been something I've loved doing. I'm told it's been a passion of mine from the earliest grades in school, and I remember writing my first Batman-style story, "The Diamond Men," back in 3rd grade. That creative writing evolved into poetry and longer story writing as the years went on, before eventually taking a real world spin into journalism in middle school. That became my life, my passion, my career goal - and since graduating from college more than a decade ago I've been blessed to to be able to live my dream. Of course, diabetes has been a part of my life that whole time, too. Diagnosed with type 1 at age 5, just before kindergarten in March 1984. My writing through the various stages of my life has coincided with - and sometimes been fueled by - these adventures of Living With Diabetes. But I never wanted diabetes to spill into my job. Why would I, when I live with it all the time? The two roads were separate and running parallel. Some people went into specific jobs or careers because of their diabetes, but that wasn't something that interested me. Sure, I occasionally wrote about diabetes in handwritten notepads and journals, word processing programs, and eventually online forums and listservers. But that was just for me, on my own spare time. To vent and cope. My career focus was journalism, and that passion to share stories and empower people with knowledge took me from newspapers in Southeast Michigan to Indianapolis where I worked as a reporter for a six-day county newspaper covering everything under the sun. Eventually, to a statewide legal newspaper published twice a month where I talked to lawyers and judges all day. Along the way, I managed to propose in a newspaper guy's fashion - by creating an eight-page broadsheet newspaper that asked the all-important "Will you marry me?" question on the front page. Newspapering was my calling, and I loved doing that for traditional newspapers - (I would've loved the post-Watergate Era journalism in the 70s, had I been around). Diabetes was just along for the ride and wasn't guiding my decisions, except for the fact that I really needed my job to provide those necessary insurance benefits. But other that that, The D didn't define me. In late 2005, not too long after I married my incredibly awesome Loving and Supporting Spouse, I was experiencing some mild neuropathy in my feet and toes and decided to search online for anything but those "horror stories" of amputations and medical textbook tales. That's when the Diabetes Online Community, still in its infancy, came onto my radar and showed me that real people could share their stories about D-Life and touch others who "get it." Still, that didn't change my journalism views or what I was doing. Time went on, and even as my personal diabetes writing evolved and grew and led to advocacy, the lines were clear between my "legal newspaper job" and diabetes blogging. My lurking turned into commenting and eventually regular D-blogging on my own, and Twitter threw in a real-time twist to the whole thing. But there were still clear lines that I didn't cross. And about two years ago, I started noticing that my attention, my heart, was somewhere else. Instead of wanting to continue on that traditional non-diabetes road, I was quite often looking off to the side at that other D-Road running parallel to where I was. It wasn't clear if I could get there, past the median separating the two roads, but it looked to me like there weren't as many potholes on that path. I started wondering if diabetes advocacy and writing was where I was meant to be. If that Passion, Power and Purpose was leading me to a new place. Now, here we are. And I've come to a place where I don't need to jump from one road to another. Instead, the two are merging. I've been at this intersection, this crossroads for a couple months, and it's finally time to move forward. 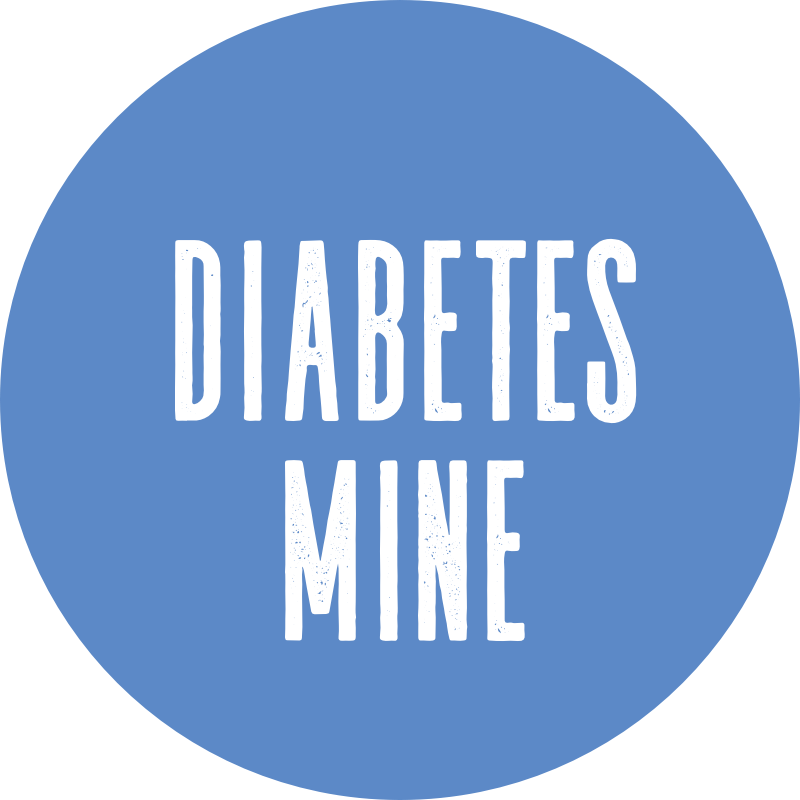 I'm very proud to be able to tell everyone that I've accepted a full-time gig with DiabetesMine - one of the first D-blogs that I'd found way back when and have been especially fond of because of its journalism roots and vision. I'll be serving as Managing Editor. I can't even express how excited I am to be a part of this team with Amy, Allison, and other contributors who are not only awesome advocates but great writers and inspirational people. People I consider friends. With the 'Mine now owned by Alliance Health, that health care communications company will be paying the check but we'll be carrying the editorial vision to the next levels. My first day was May 1, though I'd been freelancing and getting familiar with the lay of the land before that. Seriously, this is a dream come true. Doing what I love and getting paid for it - this time in a place where I can make a difference in an area that's pretty much as personal and significant as it gets. Over at the 'Mine, Amy and I have an announcement about all this change - you can check that out here. So, what's this mean for The Diabetic's Corner Booth? As mentioned up above, this is a whole new world for me. The lines aren't as clear as they have been between my "real job" and my "personal diabetes" writing and advocacy. Honestly, I don't think it makes sense from a business perspective to bring someone on who is essentially blogging about the same diabetes issues elsewhere while working for you - whether I write in my free time or not. No one asked me to stop blogging here, but we've all agreed that my D-Voice and story telling should have one home. And that's not here. Those of you who've been reading for awhile may recall that my blog didn't start out with a focus on diabetes, in content or name. When I started blogging here in early 2007 after sidestepping MySpace (remember that!?! ), this personal blog of mine was simply The Corner Booth meant to keep in touch with some friends and family up in Michigan. Only after the DOC began growing and I lurked for a long time, did the change materialize. Now, this blog's path is turning that way again. And when it comes to sharing my stories, and telling the stories that matter to our Diabetes Community, I think I'm best equipped to do that at DiabetesMine. But it's not like my voice is going away. I'll still be online and having D-Meetups whenever the chance presents itself. Because I love all of you, consider you friends. And that's more important to me than anything. 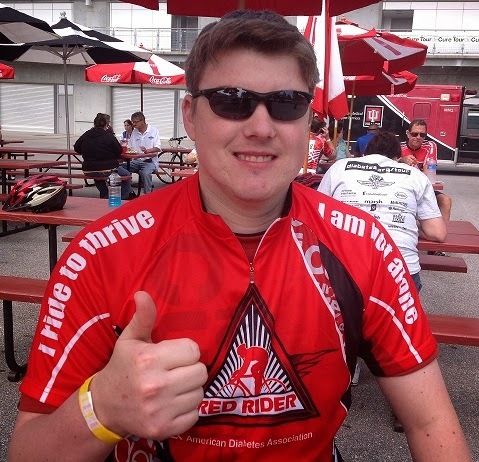 You'll find my personal stories, as well as the latest D-news and coverage, over at DiabetesMine. The rest - ranging from politics to dog adventures to non-D happenings on this end - will pop up here periodically as time allows. This has been fun and a privilege, and as this whole blogging world has evolved incredibly in the past few years. I've done my best to represent and be open, honest, and thought-provoking with my posts. I thank every single one of you for your readership and friendship to date. So there it is. And now, The Beat Goes On. Congrats... I've always enjoyed reading your blog, and I'm glad you're getting to live out your passion with D thrown into the mix! Congratulations Mike! I know you will do a great job at Diabetes Mine and I look forward to reading stories from you in both places. This is such great news and I'm so happy for you! It's rare that we get to make money doing something that we love. Congratulations! I just congratulated you over on D'Mine, and now I'll do the same here. To have a full-time gig that encompasses something that you are so personally passionate about must be a dream-come-true. (It's a dream that, for me, is still a dream... which reminds me; I've to get back to work!). Congratulations again! I started my blog just 2 1/2 months ago, and you were one of the first people to comment fairly consistently on my posts... It was what made me realize "Hmm.. there really MUST be people out there that GET me." I had lived in my own D bubble for 19 years up until that point. My blog has been life changing, as far as changing my perspective and making connections. I have enjoyed reading your blog and can't wait to see what all your new chapter brings to you! Congratulations!!! SUCH GREAT NEWS! Congrats - you deserve it. I know you'll be great and can't wait to read more from you! So happy for you! What a great new adventure. Congratulations!!! What a perfect! position for you! Wonderful news for you and all of us. Congratulations! I have loved to read your perspective as an adult with D. I look forward to continuing to follow you on Diabetes Mine. Congratulations, Mike. I wish you the best in your new venture with DiabetesMine. I have always thought you added a fresh new perspective about what it actually means to have diabetes. Thank you for your honesty and sharing. As you know from reading my blog, I am off on my own venture right now, only it will probably be much rockier than yours! A) Completely awesome about your proposal. B) I had a friend who worked at a paper with her then-boyfriend. He proposed through an editorial column, and she accepted through an editorial column. How fun is that? C) I, too, wrote a similar Batman story in the fourth grade -- "The Cat that Went to School" -- so maybe there is something to be said for that and journalism. LOL. My mom still has the story, by the way. D) Love this opportunity for you and though I've said it before, bravo! Very proud of you! Amazing resource! Thank you for creating it. Keep going that way.